One of the biggest issues many people have had with Windows 8 is that it automatically logs you into the Windows 8 Start screen rather than the traditional Windows desktop. 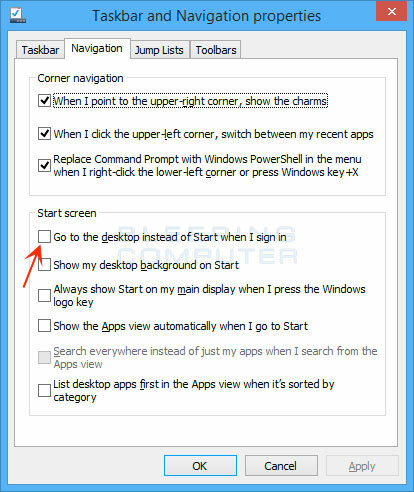 For those people who do not want to use the Start screen and instead work off the desktop this change has been very frustrating. If this has been an issue for you, Windows 8.1 allows you to skip the Start screen and boot directly into the desktop. 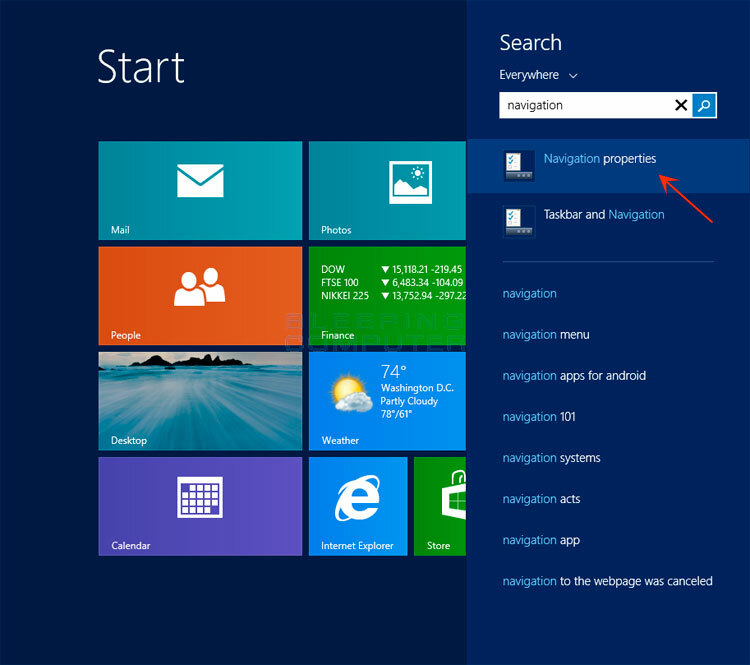 To do this, type Navigation when you are at the Windows Start screen to open a search for that word. When the search results appear, click on the Navigation properties result as shown in the image above. This will open the Taskbar and Navigation properties tab. At this screen, put a check mark in the Go to the desktop instead of Start when I sign in checkbox as indicated by the red arrow above. Once that checkbox is checked, click on the Apply button and then press the OK button. With this setting enabled, when you start your Windows 8 computer it will now automatically go to the desktop rather than the Windows 8 Start screen.